While these are certainly necessary and urgent strategies and tactics, especially since unborn lives are at stake — as well as fine goals for individual organizations — I submit that none of them should be the goal of the pro-life movement. Indeed, the logic that leads to those suggested goals must be addressed if we are to be truly successful as a movement. Specifically, when we say our goal is to “end abortion,” what are we really saying and what would winning look like? On the whole, we are generally making a legal argument – abortion must be made illegal. Some may also include an element of culture change and behavior change – we must create a culture in which people choose life, no matter the circumstances surrounding their pregnancy. But will we believe we have won if our efforts create a generation of children born to single mothers, knowing what we know about the challenges that single mothers and their children face? I know these challenges well; I grew up in a single-mother home. Therefore, is creating far more single mothers, absent fathers, and children in father-absent homes the “victory” we seek? Of course not, and this is why I have come to believe that “ending abortion” is a necessary strategy or tactic, but not a goal. To understand why, consider two historical movements: the abolition of slavery and the prohibition of alcohol. In the 1860s, our nation abolished slavery. The abolition movement had set out with the noble and God-honoring goal of “ending slavery.” While some abolitionists were working on the legal side of the problem, there were others who launched an “underground railroad,” connecting slaves to safe houses where they received some level of care before moving on to the “free” regions of North America. This coordinated effort, along with a bloody civil war, led to freedom for slaves. However, when the slaves were freed, they entered into a culture that had no interest in integrating them into any part of civil society in neither the North nor the South. They faced brutality, discrimination, a lack of equal access to educational and economic opportunity, and many other severe challenges. The abolition movement, with ending slavery as its goal, did not change our nation’s attitudes towards black people. Thus, our nation entered the Jim Crow era. Indeed, many black people walked off the plantations as slaves and returned to those same plantations to a hard life of near slavery as sharecroppers for decades. No doubt, much of the racial divide we face to this day is the result of the failure of the abolition movement to change hearts, not just laws. Now, as a black man, I am not suggesting that the abolitionists should not have done what they did. Of course, making slavery illegal had to happen. But the lesson we can learn from the history of this movement is that when legal change is not coupled with changes of heart and a proactive and coordinated system of care and compassion, enormous problems can ensue. You see, the goal of the abolition movement should have been to create a nation in which black people were treated with the same dignity and respect, and given same rights and responsibilities as all other American citizens. Since you can’t achieve that kind of equality under slavery, ending slavery should have been a tactic to achieve the greater goal of equality under the law and in the culture. Do you see what kind of difference this could have made? Imagine if the nation’s businesses, churches, and civil institutions were transformed to fully integrate former slaves. Imagine if, when slaves stepped out of the safe houses of the Underground Railroad, they weren’t met with discrimination, but with compassion and opportunity. This brings us back around to the goal of the pro-life movement. If we do nothing to change our culture’s desire and demand for abortion, but “overturn Roe v. Wade,” we will very likely face an aftermath in our society similar to what happened after the abolition of alcohol in the 1920s. For example, the black market of illegal abortions that could arise would make the rumrunners of the Prohibition era look like saints. In other words, if we don’t continue to expand our effective, nationwide network of compassionate care to accompany the legal changes that we say we want, we might just enter a “Jim Crow era” for the women and men facing unplanned pregnancies in our nation. 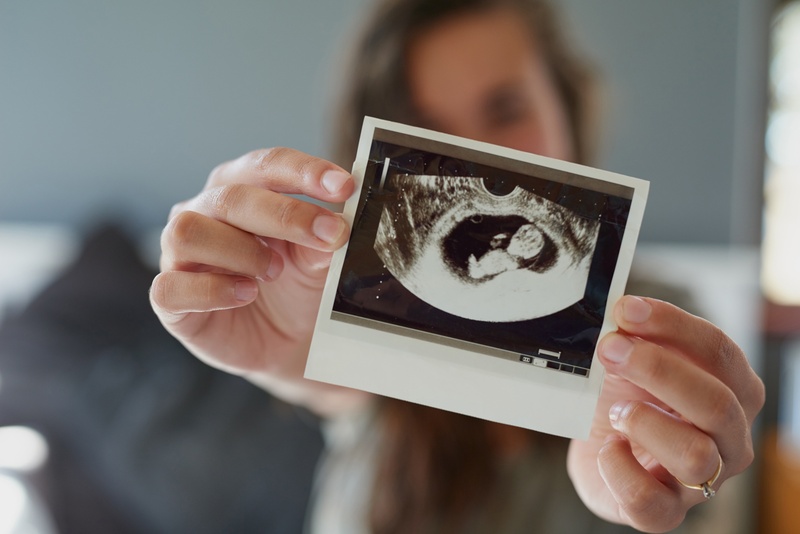 They will step out of a pregnancy center – our nation’s “safe houses” – into a culture that is neither equipped nor inclined to provide them with the long-term support they need to live out their decision to keep their baby. Moreover, the pro-choice movement has been hard at work setting the stage for the next legal actions that could take us beyond where Roe v. Wade ever could, namely a Constitutional amendment guaranteeing the right to abortion. Pro-choice activists have cleverly positioned abortion as a “fundamental right of women.” In other words, while abortion used to be something that a woman did, pro-choice activists now argue that abortion is essential to the very “being” of women – you can’t be fully woman unless you have the right to abort your unborn child. This sort of framing of an issue as a “being” rather than a “doing” perspective is how rights become enshrined in the Constitution, e.g. black people are entitled to the right to not be slaves because of who they are in their humanity, not based on what they do or don’t do. Indeed, nothing the pro-choice movement has done to re-position abortion as a central aspect of womanhood over the last 40 years has been by accident. And that is why this “network of compassionate care” must be carefully defined and expanded now as we fight valiantly and urgently to overturn Roe v. Wade. We must provide the abortion-vulnerable with the kind of support that makes it less likely that they would choose abortion, even if it were legal, and more likely that they will thrive after they choose life. 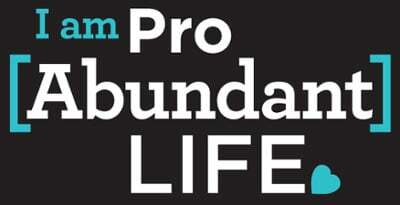 Care Net, a network of 1100 affiliated pregnancy centers, defines this approach as a Pro Abundant Life strategy, based on John 10:10, where Jesus Christ declares that he came not only to give us life but to give us abundant life. This means that we not only embrace life by reaching pregnant mothers. But we must also reach, engage, and train fathers of unborn children, and help couples facing unplanned pregnancies build low-conflict, healthy marriages and strong families as much as possible. In addition, and importantly, we must deploy the Christian Church’s central and transformative mission of offering compassion, hope, help, and discipleship to those at risk for abortion outside and inside the church. And it is important to note that those who consider themselves pro-choice would be equally responsible for forming and supporting this network of care. When confronted, post-Roe, with an abortion-minded woman in need of support, it will not be an acceptable response for a pro-choice person to turn her away and say, “I would have let her have an abortion, so I’m not helping.” We are all responsible for helping people have an abundant life just as former slaveholders had a moral responsibility to help freed black people to obtain the blessings of liberty. Therefore, the goal of the pro-life movement should be this: that every child, as much as possible, is welcomed into the world by a mother and father who love each other, love their child, and love God, therefore giving that child the opportunity to have an abundant life. But how do we know this is a good goal? Well, it is what happened for Jesus. The angel visited Mary to tell her she was carrying the Christ child. Mary, like so many other women, was facing an unplanned pregnancy from her perspective. Yet, despite the uncertainty of what she did not know, she chose life. The angel then visited Joseph, who was also facing an unplanned pregnancy and called him to be a husband to Mary and a father to the Christ child growing inside of her. Joseph, too, chose life. And Jesus did not “need” an earthly father in the same way we do. God could have had his son born to an unmarried virgin; it would not have violated scripture but it would have been contrary to the “high idea” that God desires for all children. Instead, in order to give us a model for the family, God found the perfect covenant relationship, Mary and Joseph betrothed, in which to place his beloved son. Moreover, Jesus’ parents had a relationship with God on which they leaned for the support they needed before, during, and after Christ’s birth. All of the elements of an abundant life – marriage, fatherhood, family, and relationship with God – were there for Jesus as a model for us in the pro-life movement to replicate. This is the model the Pro Abundant Life perspective must follow. Indeed, this is the foundation upon which we must build our goal of abundant life for all children. I believe that all pro-life organizations must work toward this goal, with ending abortion as a shared tactic, if we are to create a true and lasting victory for our nation’s children and families… and, ultimately, for our nation itself.